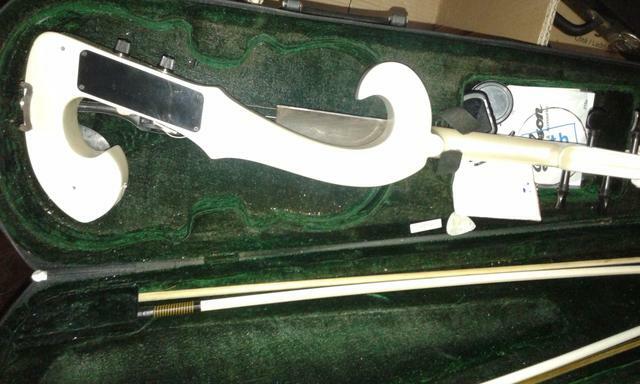 Can someone identify what model this electric violin is? It's look weird, and I have no idea what model it is. Are you sure its a Yamaha? except for being a 5 string, it looks identical in every way like this one from Shar. 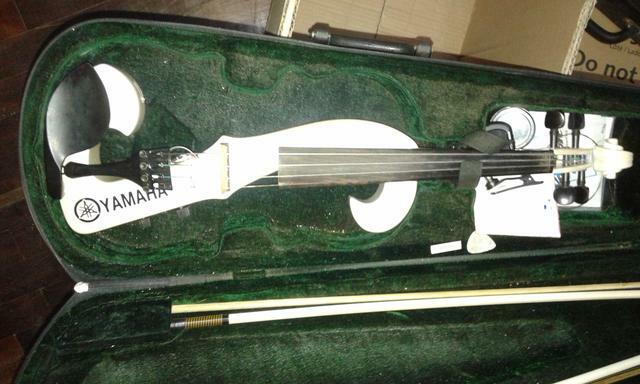 It could also be a Caraya violin. The owner claimed that it was Yamaha, and I really doubt it. We had a really rage out argument that seems to be never ending. Thanks to you guys that just unmask a scammer. "Not even close. That’s a Yamaha Motors Logo, btw." So I asked them what the difference was between the music logo and the motors logo. Apparently the M and the tuning forks are slightly different. The M has a raised middle part and the tuning forks are within the inner ring instead of the outside ring for the music logo.